I recently discovered the magic of nail polish shopping on Etsy. For the longest time, I was wary of trying nail polish from that site -- I worried that the formulas might not be as good as the bigger brands, the colors might look different in person. I just wasn't sure what to expect. Well, color me a changed woman, because Lacquer Queen Maleficent is here and it's GLORIOUS. As you might imagine, Maleficent is inspired by the villain in the Disney movie, Sleeping Beauty. (Side note: Maleficent was voiced by Eleanor Audley, who also voiced the Evil Stepmother in Cinderella and was the voice of the crystal ball in the Haunted Mansion ride at Disney World! Yes, I know a lot of Disney trivia.) In any case, this color is spectacular, divine, breathtaking, astonishing and truly magnificent -- most definitely worthy of one of the greatest Disney villains of all time. A lot of adjectives to describe it, I know, but I honestly have not come across a color like this in quite awhile. I was immediately taken with Maleficent when I saw it in the Lacquer Queen Etsy store, and I just knew I had to have it. 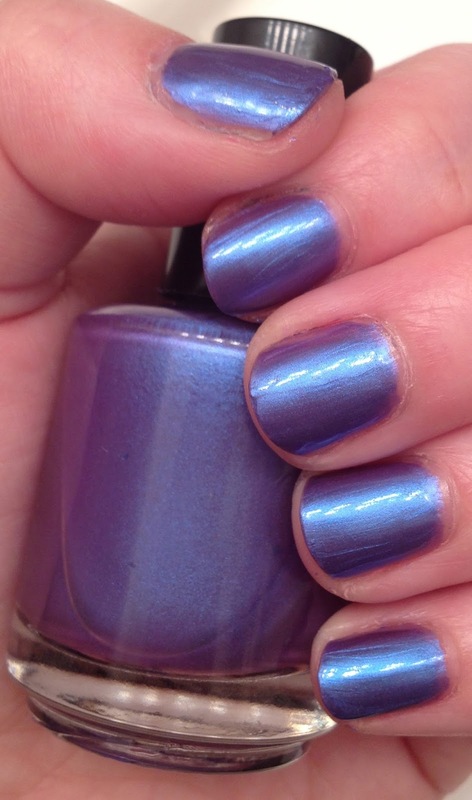 Maleficent is described as having a jelly base saturated with shimmering frosty purplish blue. I don't notice the jelly base as much, but this is a beautiful hybrid duochrome of purple and blue shimmer. It glides on easily and effortlessly and leaves behind no streak marks or brushstrokes -- no easy feat when dealing with a metallic! Lacquer Queen recommends two coats for full opacity, which I did, but I actually found full opacity with one thin coat. Two coats just make it all the more rich and striking. Lacquer Queen also says top coat is unnecessary, but I finished with a coat of Seche Vite to seal in shine and make it last as long as possible. David and me over July 4. Don't we look cute? I also needed this color in my collection because it reminds me of my bestie, David. 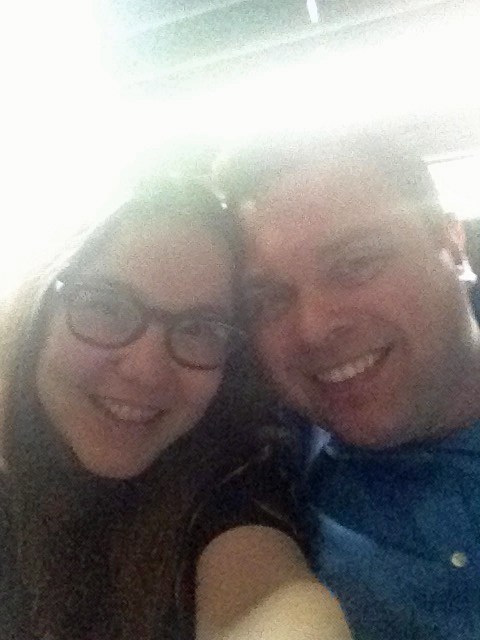 (Check us out above, taken over July 4 while I was visiting him in Indiana. Awww, I know.) Sleeping Beauty is one of my very favorite Disney movies, but it's David's ABSOLUTE favorite. Wearing this color makes the miles between us seem smaller! Maleficent retails for $11.95. Find it and all other equally gorgeous Lacquer Queen polishes at the Lacquer Queen Etsy shop here. Are these polishes chemical free? Yes, they are 3 free! Nice - I'm not normally a fan of mettalic-ish polishes but this is nice. It's really beautiful! I have to pick this one up. Thanks!